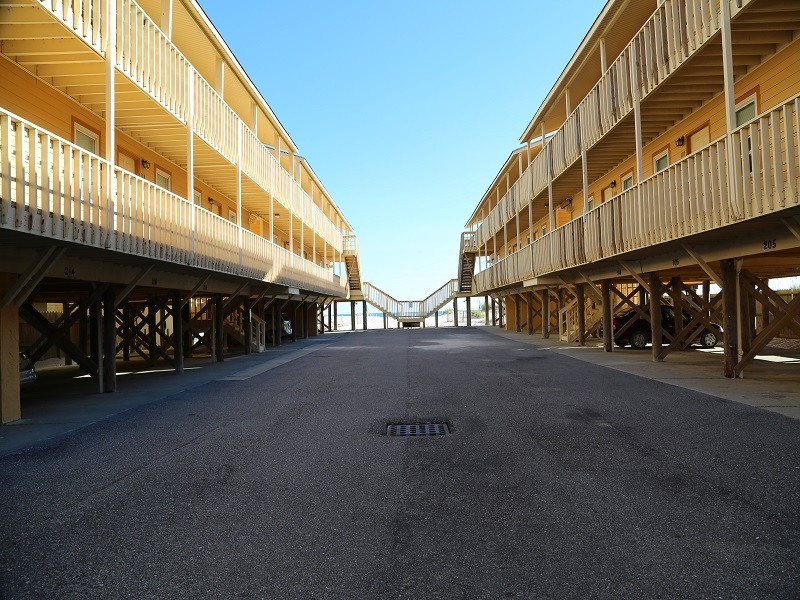 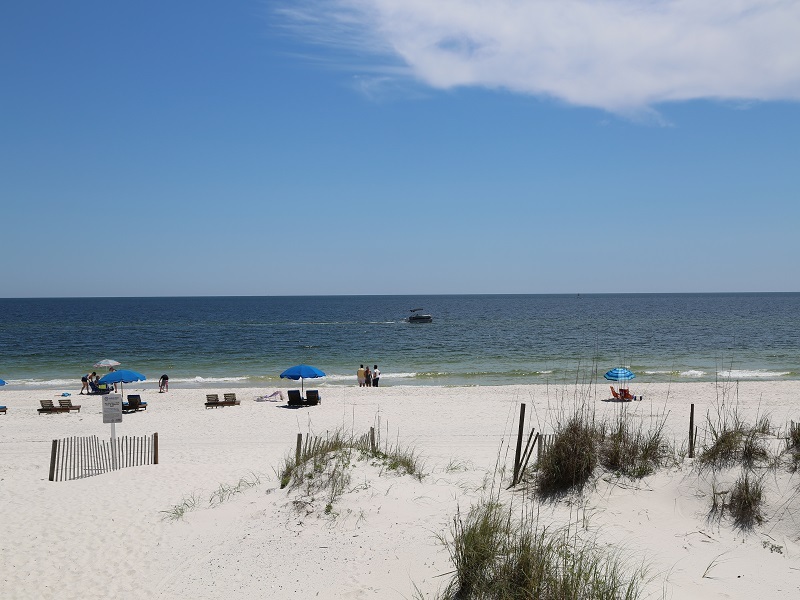 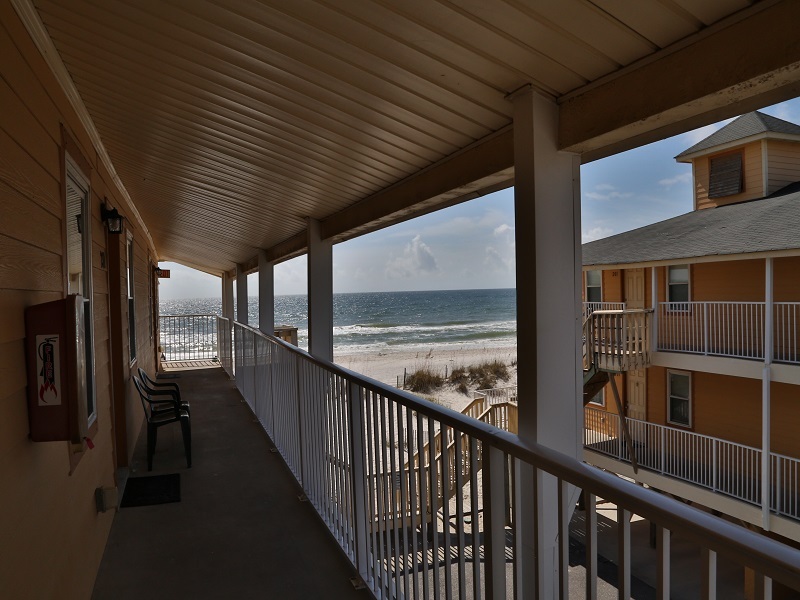 Viiew from common breezeway - just steps to the beach! 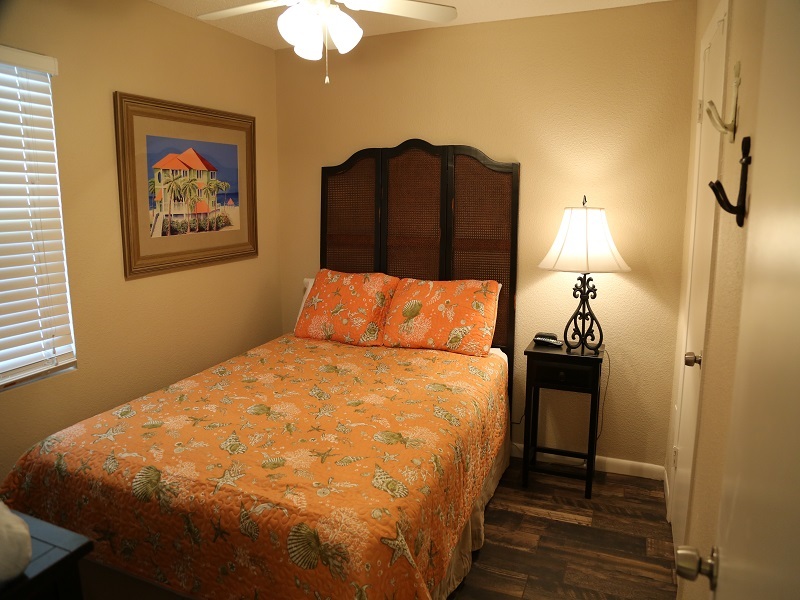 Welcome to Sunrise Village 212! 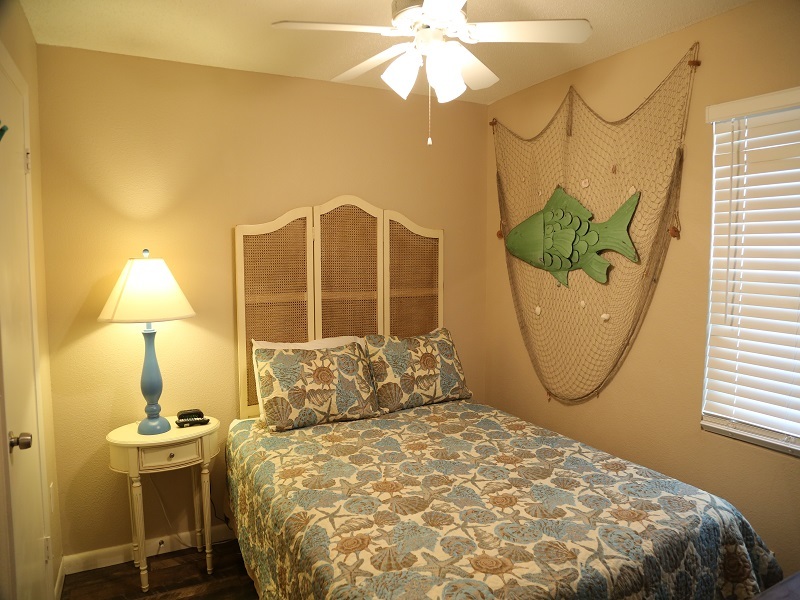 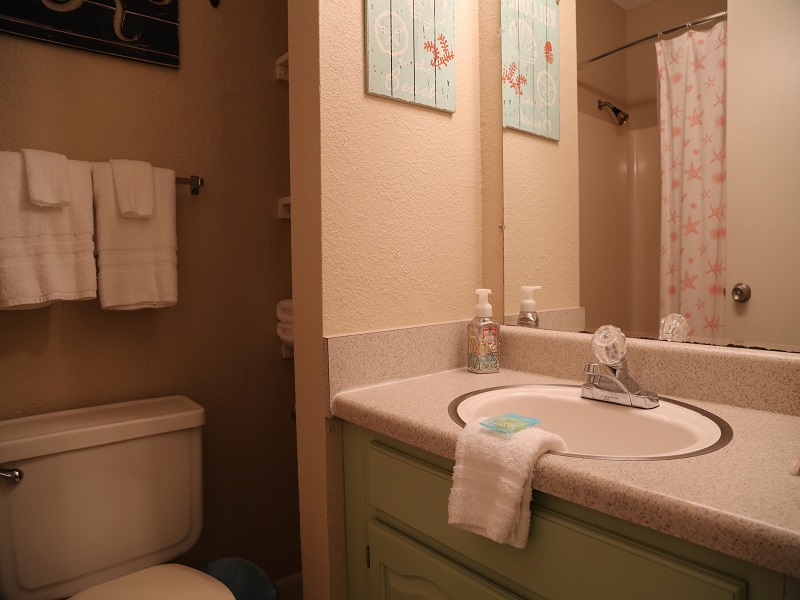 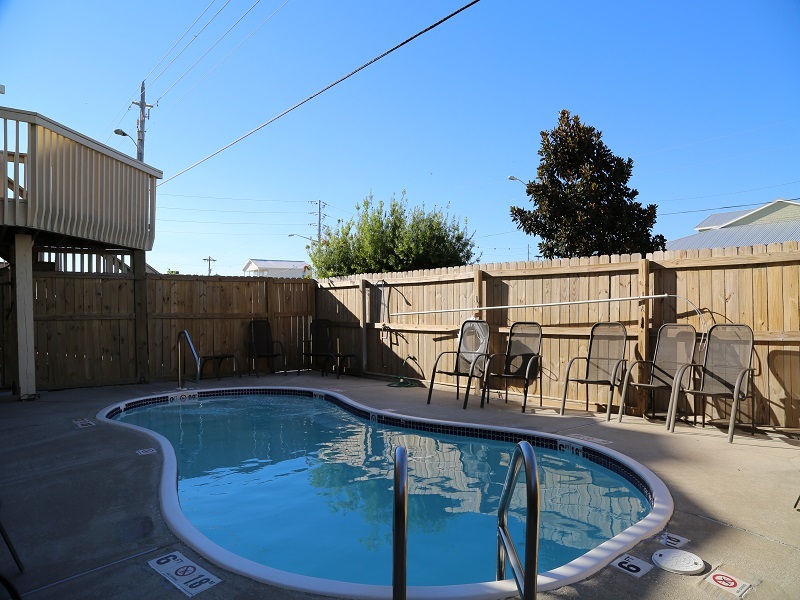 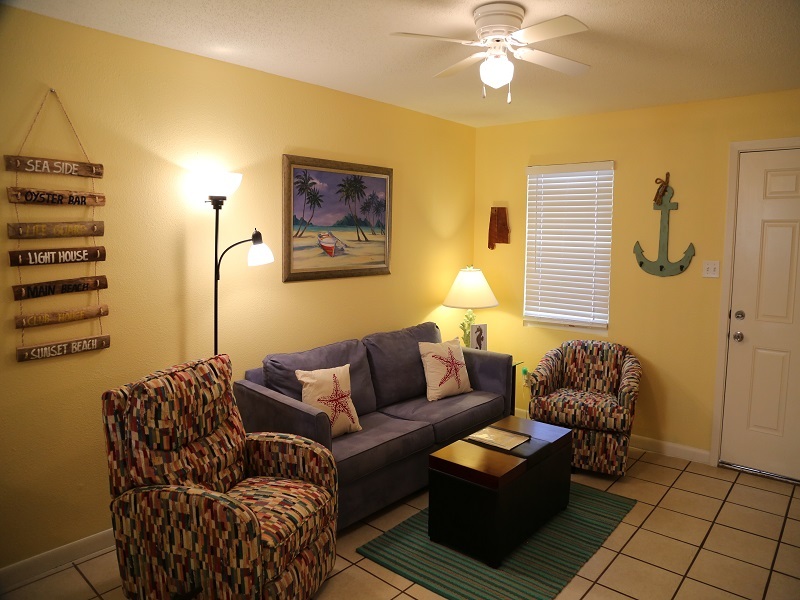 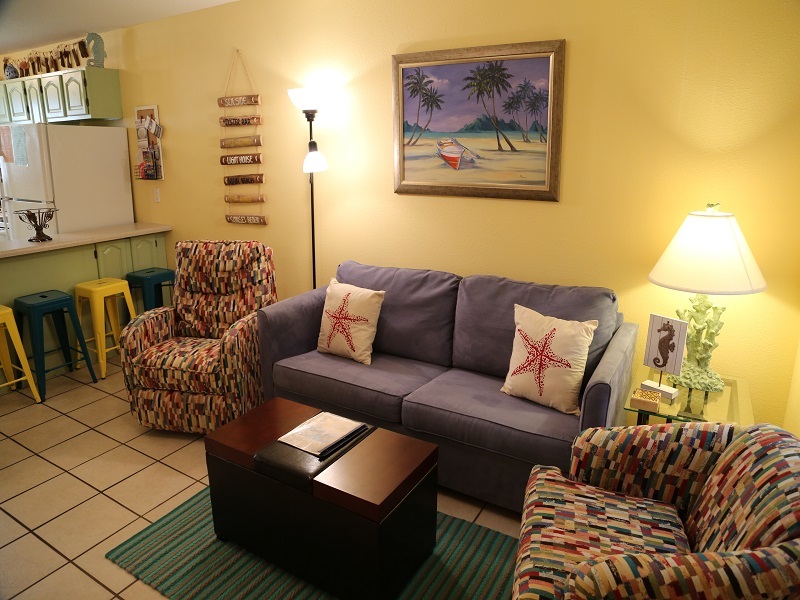 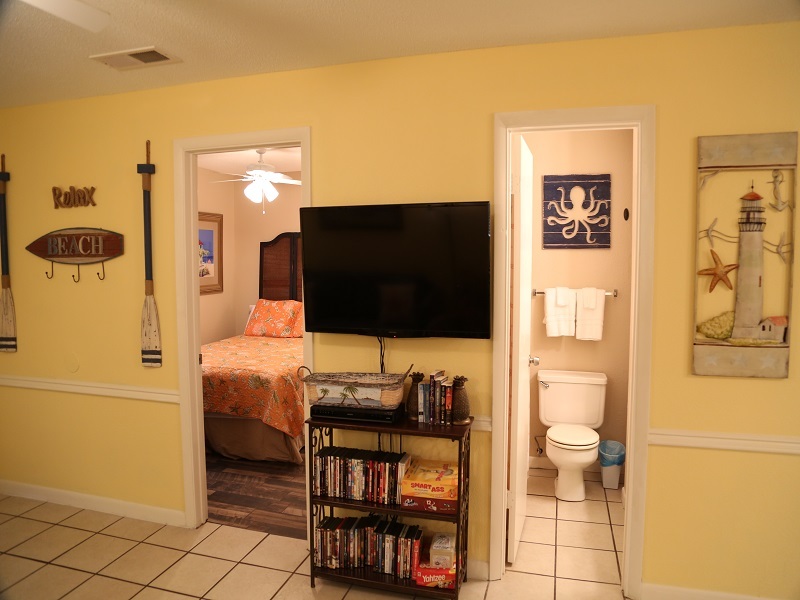 This two bedroom, one bath vacation rental accommodates up to six with sleeper sofa in living room. 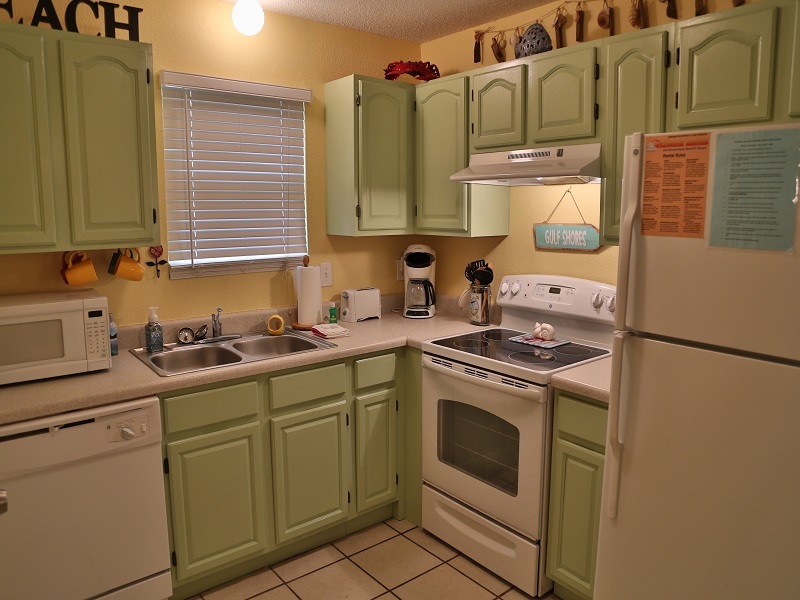 Unit is fully tiled and completely renovated. 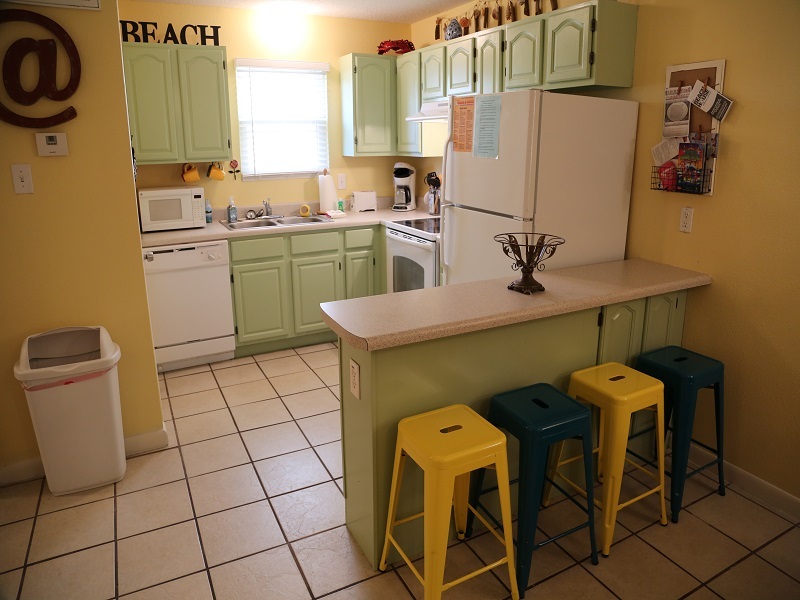 Freshly painted with new furniture throughout. 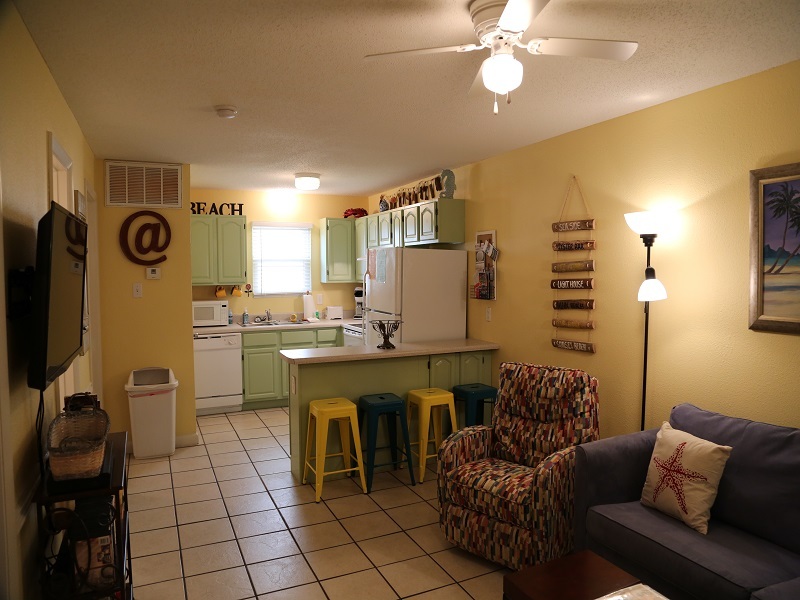 Modern, beach themed condo makes you feel right at home! 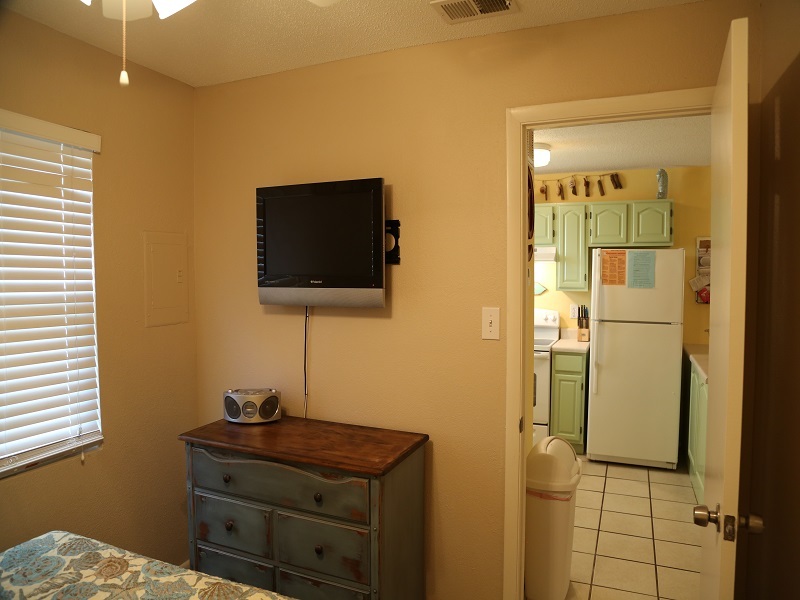 Kitchen is fully equipped with all appliances and icemaker. 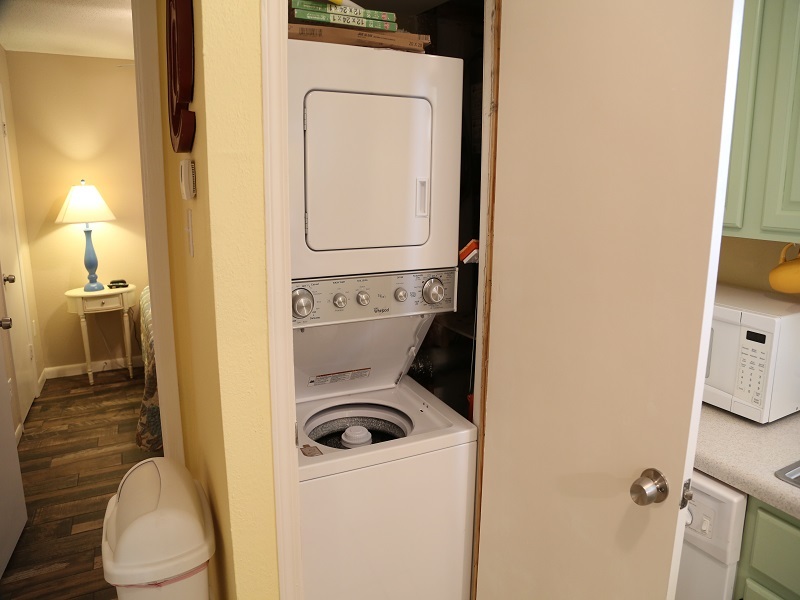 Brand new washer/dryer also. 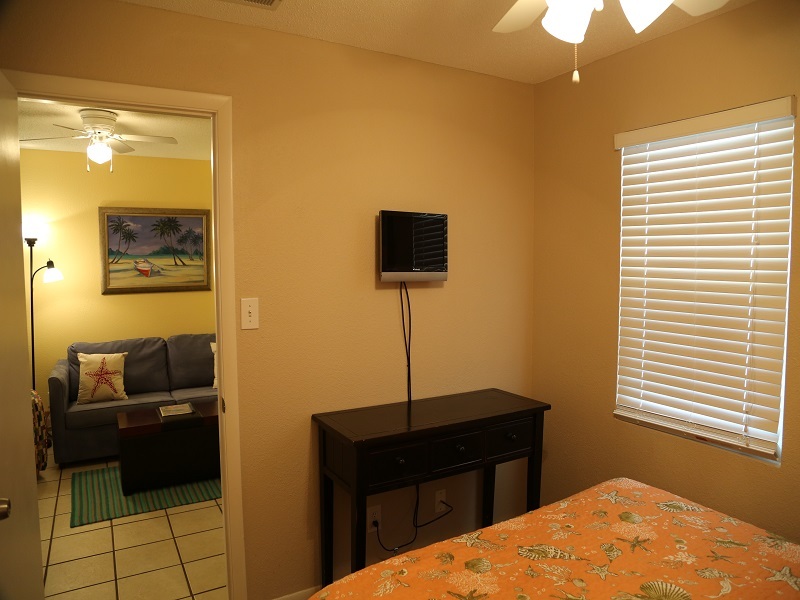 New flat screen TVs in the Living Room and 32" in front bedroom - every room has a TV (3) w/new mattress sets in both bedrooms. 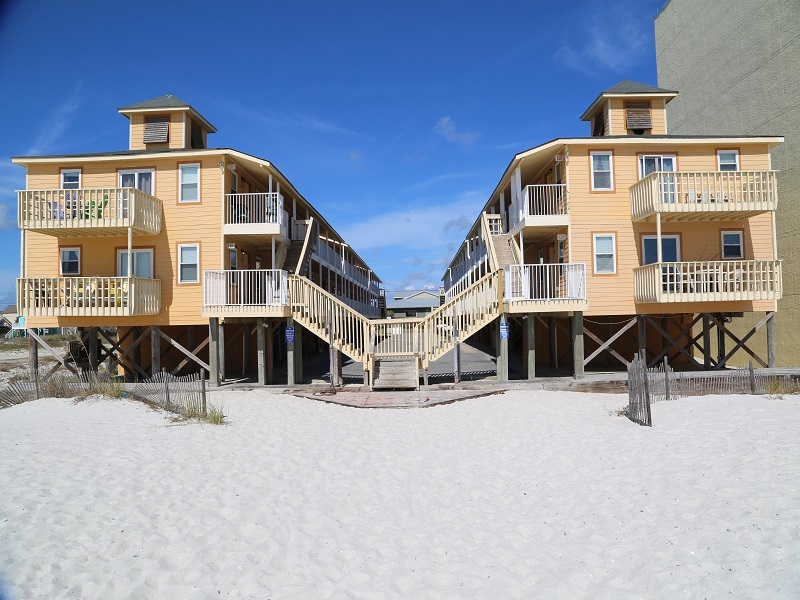 Walk out the door, down the steps, and sink your toes in the sand! 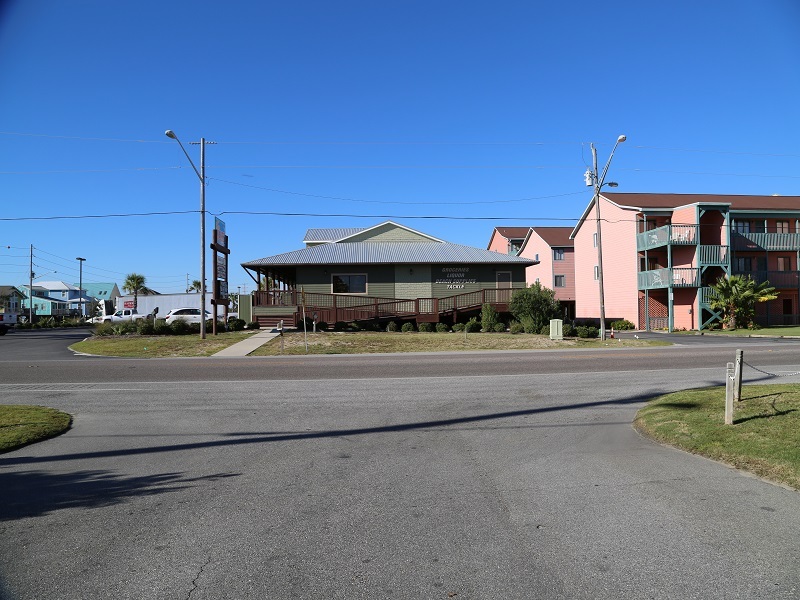 Convenience store/beach mart with restaurant and icecream shop directly across the street.